Here we go again ! A new week, a new selection of some of our Instagram posts. We have started carrying quite a number of books lately. You will have seen some of our adult, coffee-table books last season, and you were recently introduced to our new offerings on a previous blog. However, I did not tell you about all the new children's books. 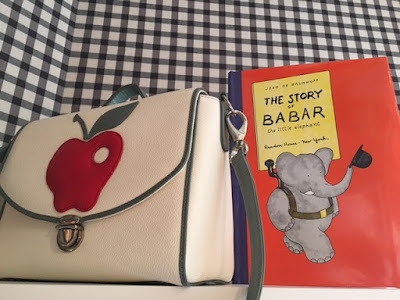 Just one of our favorites is Babar. We are stocking 3 of Babar's adventures for all you fellow lovers of this famous pachyderm. Babar is pictured next to a soft leather lunch bag for children (although it is the perfect size for a woman's crossbody) from Pineider of Italy. 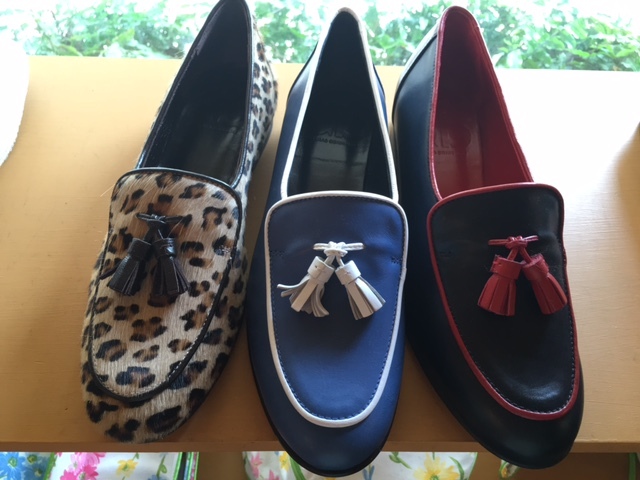 Our simply adorable and super comfortable women's leather tassle loafer (reminiscent of Pappagallo, no?). 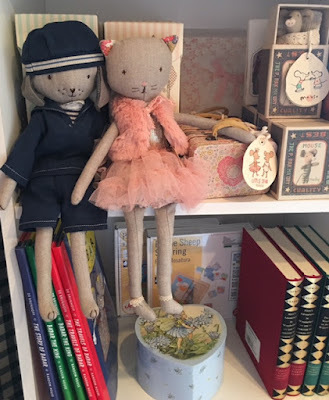 These classic little numbers are made for us in Italy and are in good stock at the Boutique. The blue/white and the navy/red are soft calfskin and the leopard is pattern-dyed hair-on-hide. Call quickly for your size. The day we posted them on Instagram, they started a flurry of interest and are flying off the shelves. Who else loves blue and white in their bedrooms ? Shown here are D. Porthault's beautiful Fleur de Champs linens paired with a scalloped-sheet design from Riva d'Arno. 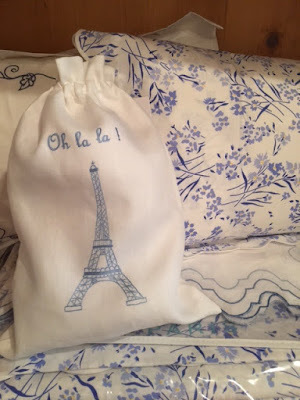 Nestled atop the two is a perfect little linen lingerie bag, also from Porthault, with our favorite Parisian icon. Doesn't it just make you want to make a reservation at Le Jules Verne café ? Perched on a shelf are two of our newest members to the Leta Austin Foster Boutique's children's department. Best Friend Puppy and Best Friend Kitten are all dressed up and waiting for their furever home (yes, I did spell it fur...ever). Wouldn't these be perfect poking out of a Christmas stocking ? You have to think early to get the best and most thoughtful presents......just saying. 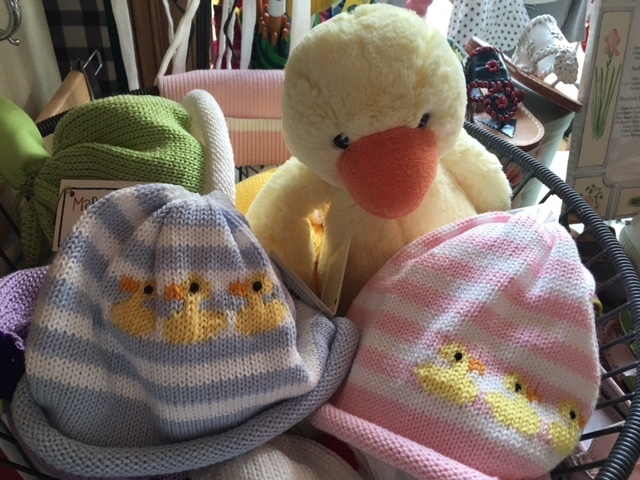 These adorable, hand-knit hats for baby also have a layette set and a blanket to match. Any of these items would make a very nice present, but all three would be fabulous !